Couples holidays can be super fun but also overwhelming to plan. Travelling with Family and friends can be an experience in itself. I shared some tips on travelling with family a while back. Travelling with your significant other for couples holidays can also have its fair share of crazy, but I think problems usually stem from lack or poor communications between people. Travelling is something my boyfriend and I are passionate about. We have been on hikes just the two of us, going on road trips for that cover hundreds of miles passing through many borders. Couples holidays and adventures that build trust and get us working as a team and just enjoy each others company are always so memorable because we have both made the effort to learn more about each other. Not just on a personal level because you are dating, but our style of travel too. I think this is also key to having those amazing memories that you will hold on to until your head start sprout that grey coloured mane that you think will never happen to you. After years of couples holidays from African road trips to Asia’s chaotic and bustling cities or taking to Europe hidden treasures, I thought I would share tips on how to ensure your trips are spent more on having fun than arguing about how you both managed to think the other person was booking the hotel. I am glad I am not the only one who thinks time should be spent more on having fun. Travel Supermarket also believe holidays should be packed full of fun, laughter and the best memories. Share the tasks of research into booking flights, or get one person to search for hotels, activities, directions, and transportation to and from the airport at your destination all take a long time to plan. It’s great to share out responsibilities as well as discuss what each one wants out of the time spent on the planned or future couples holidays. This also allows you to look out for each other’s interests when planning the trip. Slow vs Fast travel types of couples holidays. Beach bumming or Dora the Explorer or even staycations? From DIY booking to a Package holiday. From the many trips my boyfriend and have taken, we are constantly learning about how each one likes to travel as well as learning to compromise. I believe knowing each other’s travel style will save you many a headache and reduce arguments. I am bit of a Dora the Explorer and usually have a list of places to hit in a destination. While my boyfriend is more of the laid back type and couldn’t care if the rest of the holiday was spent beach bumming with a whiskey on the rocks in hand. We have learnt to compromise to include activities that we are both passionate about when we travel. Because of our difference in travel styles, me being an over-planner, I am much more laid back because of my boyfriend and because of my Dora the Explorer attitude, he has seen more places than he probably thought he would on the trips we have been to. Remember that one time….Yes we have plenty of those stories. Some that have cost money to fix. Like the time we missed our flight from Cambodia because I thought we were flying at 12.10am on 31st December and turned up 12.10am on Jan 1st? Yep, ended up buying new tickets to get back to London. Or the fact that I have a folder full of pictures where my boyfriend has taken pictures of me mid-sentence and I end up looking like I have a few screws short of a trip to the nut house. Yes, we have learnt to laugh about those experiences and sometimes they are what make the trip. The fact that you make light of certain things. And, no, none of those pictures are making an appearance on the blog anytime soon! I check the weather close to the time I am travelling so I can pack appropriately as well as for the places that we are going and what the activities we are doing. Learning each other’s style of packing may save you a lot of time. Since I tend to plan a lot of our trips and know my boyfriend is one of those people who will pack 30 minutes(sometimes less). I make sure I start asking him earlier about what he is taking. Better yet some items I have learnt that he just won’t pack or will usually forget and we will spend time having to go shopping for when we arrive at a new destination. That will eat into Dora’s exploring time. We will get somewhere and he will ask, “so have you seen the sunscreen?” I am thinking to myself, you are ginger and you didn’t pack any? My usual response is “No, when was the last time you saw it?” We usually laugh about this because we both know he won’t pack any of that so rather than watch him burn within minutes of being in the sun. I have clear packets I tend to separate cosmetics items into to make it easier to just throw them in the suitcase when are travelling. They are stacked with sunscreens, lip balms, and aftersun care. So knowing each other’s styles when packing or packing things that you know your partner will need(but always forgets) will add to you having an enjoyable trip. Knowing each other’s packing styles will go a long way whether you are packing for a couples holidays, whether a romantic holiday for two or a group trip with friends. We are certainly lucky in that we have common interests between us but we also have other activities that the other is not so into. 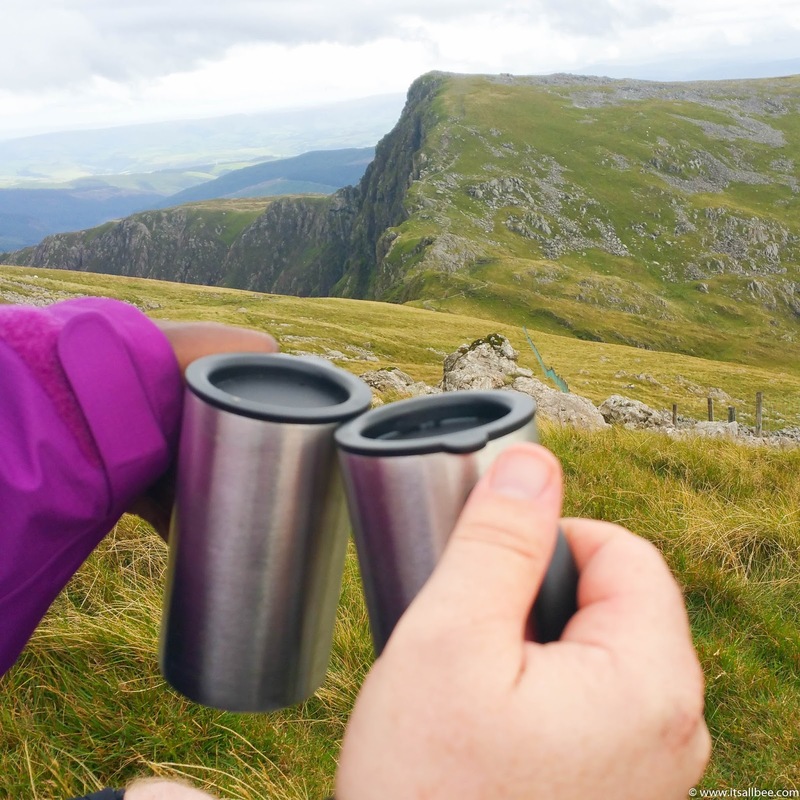 We both love the outdoors, we have recently hiked in Snowdonia National Park, Hiking Spain’s Dangerous Hike – El Caminito Del Rey, Sandboarding in the Namibian Desert as well as Diving in the Red Sea. Doing activities you both love when you are out on couples holidays and getways together will further enhance your enjoyment of the trip as well as increase the bond you share by doing something you both love and enjoy. While we have done those activities together there are other activities that we sometimes do separately; he’s into his yoga while, I might wake up early and part take in sunrise shoots, or photography walks both at home and on trips without him. So going on solo excursions doesn’t mean you don’t care or don’t want to spend time together. Nothing wrong with a little space even during couples holidays. People make mistakes and instead of arguing or blaming each other when something goes wrong, learn to quickly find solutions to the problem. Work together to resolve the problem, you will both be more forgiving when the other make mistakes and will notice how you spend less time arguing about things when things go wrong. Remember I mentioned about my little blunder with our flights from Cambodia. We quickly found internet at the airport. Booked an additional night at the hotel. He found us transport in a nearly empty airport at 2am. When we got back to the hotel. I booked our flights home while he sorted out transport back to the airport for our morning out again. Work together and try not to cloud what could be really beautiful trips with arguments. You both have jobs and work hard, when you have couples holidays planned, it’s time to spend some quality time together away from everything and everyone. While you may spend timing doing activities and exploring, also learn to spend quality time with no one but each other. These can be done in all sort of ways, whether its that sunrise or sunset walk on the beach with no one on your path for miles, or whether it pigging out on room service while locked in your hotel room doing a Netflix marathon, a candlelight dinner in your own little corner of the restaurant. Whatever your style take that time out for yourselves. While you may be all loved up as a couple there are other people around you. Travelling allows you to meet the many amazing people out there, so try not to just stick together during the whole trip. Socialising with others allows you to meet some wonderful people and share fun and crazy stories, as well as learn about new places or little hidden treasures in the city you are visiting from those who have covered places you haven’t seen yet. We have met so many people on our travels, some we are still in contact with today. Whether it’s other couple or singles, don’t be afraid to make friends on the road as well as travel with other couples and single friends who will also enrich your travel tales. 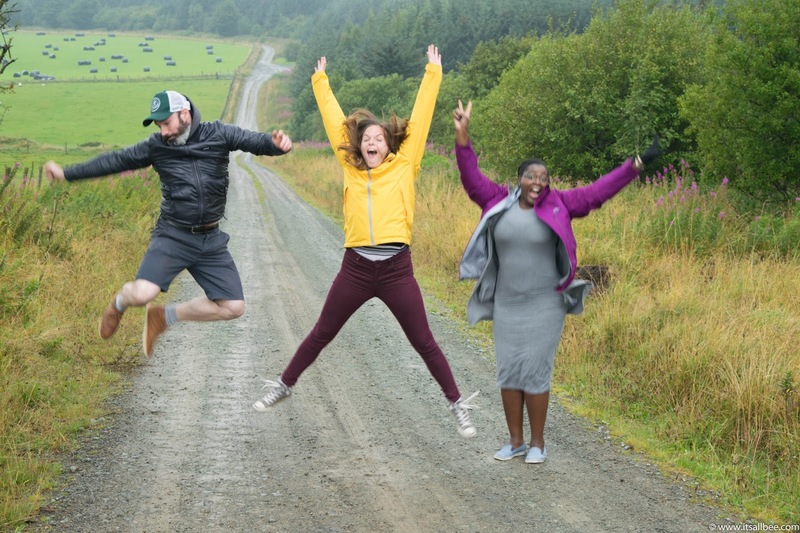 Our excitement when we realised we had just found the road that separates Wales and England; England to the left and Wales to the Right. 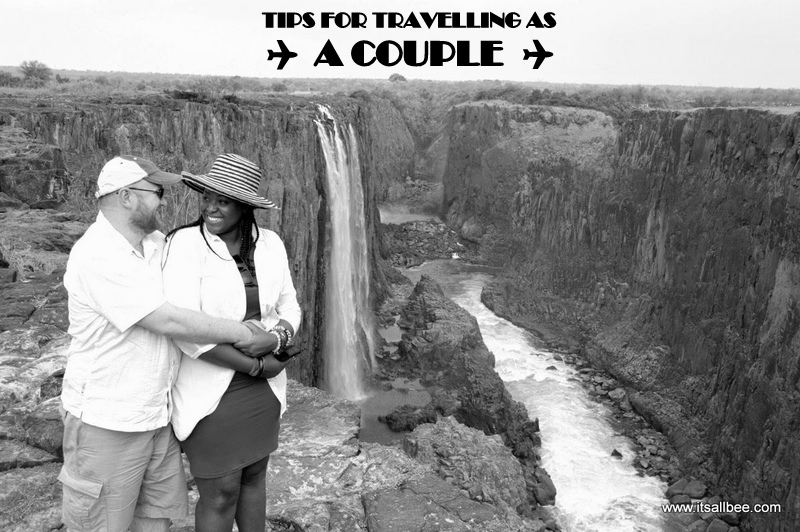 So, did you find these tips helpful or have other travel tips for travellers on couples holidays? that we both love to travel and love to travel together.